Horses belong to the order Perissodactyla, and within this they are one of nine species in the family Equus. By the end of the Pleistocene era (approx. 2.5 million – 12,000 years ago) wild horses (Equus ferus) roamed across Europe, Asia and North America, and it is estimated that the domestication of horses began around 5000 years ago. However, by the middle of the twentieth century horses had become extinct in the wild, yet were thriving as a domestic species. Domestication can dramatically influence the social, cognitive, and morphological characteristics of a species, and the study of domestic species is of great interest from both welfare and evolutionary perspectives. Horses are long-lived social animals. Feral populations have demonstrated that without domestic pressures horses would live in a society comprising of several small groups or ‘bands’ that share space and resources, and to which membership stays relatively stable over time. Bands have large, overlapping ranges so horses regularly come into contact with many other conspecifics, and inter-band dominance indicates that within the larger herd established social relationships exist. Consequently, horses show fission-fusion dynamics; a variation of the same complex social organisation that is seen in humans, bonobos, chimpanzees, and macaques, as well as elephants, spotted hyenas and many cetaceans. Group life in these societies is determined by complex, long-term social relationships that must be maintained, suggesting effective communication would be adaptive. 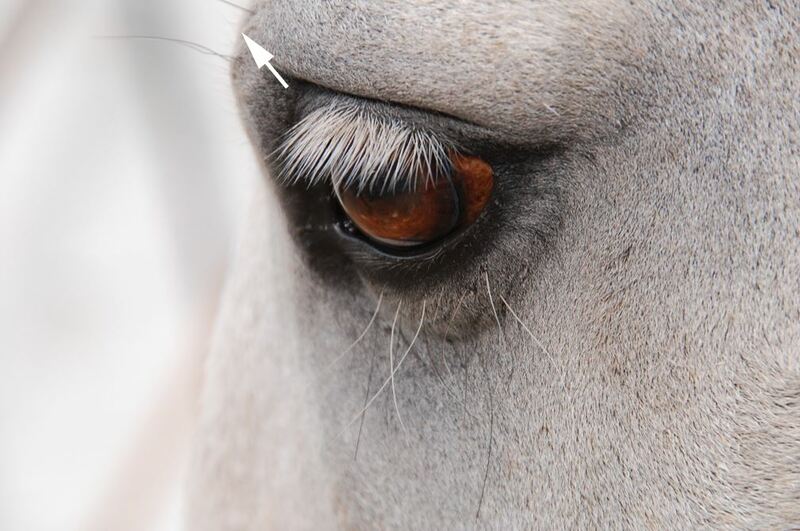 Horses are predominantly visual animals, with reasonable visual acuity that, at 23 cycles per degree, is better than domestic cats and dogs. 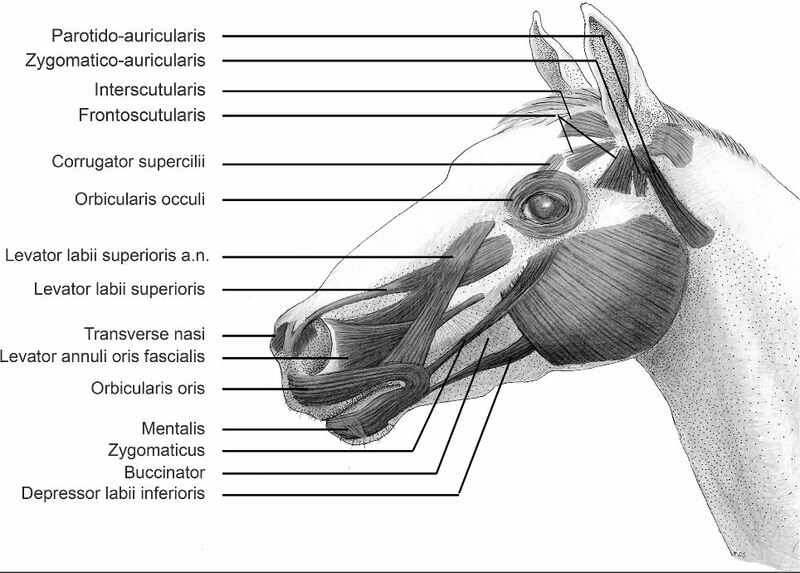 While horses’ use of head and body posture in signaling has been described in observational literature, surprisingly their use of facial expressions has been largely overlooked. This is despite attempts to quantify facial expressions in horses’ close relatives, plains zebra, and reports that horses do routinely use some apparently complex facial expressions (e.g. snapping and the estrous face, which both involve pulling back the lips and flattening of the ears.